Anyone who attended festivals across America in 2012 (or at least saw the lineups) knows that a couple of the biggest themes have been simple folks bands laced with vocal harmonies and old dirty guitar garage rock. With a certain savvy, Two Gallants combined these genres in returning to the scene with an unexpected fire with their 4th full-length release, The Bloom and the Blight, transitioning away from their traditionally folk style. This San Franciscan duo, named for the short story by James Joyce, have shifted into a higher, louder gear from their traditional folk style for one of the year’s strongest releases in terms of quality and style fit perfectly for today’s indie scene. From the top of the album, “Halcyon Days” lulls you to sleep with 25 seconds of clean notes before busting into a collection of heavily-distorted chords, cymbals, and kick drum hits. Adam Stephens’ straining vocals bring emotion and provide the over-the-top energy his and drummer Tyson Vogel’s instrumentation set the tone for. Stephens provides a healthy mix of finger-picked undistorted guitar and loud, grungy, dirty southern chords that grab you by the cahones and teach you a lesson about rock and roll. The old Two Gallants show their acoustic-driven faces complete with harmonica on “Broken Eyes” and haunting vocals on “Decay”. The finger-picking beauty on “Winter’s Youth” fools you into thinking it will be similar, as well, until the chorus rocks with building drums combined with a strained rebel yell; “Out upon the open road / you learned to say goodbye”. 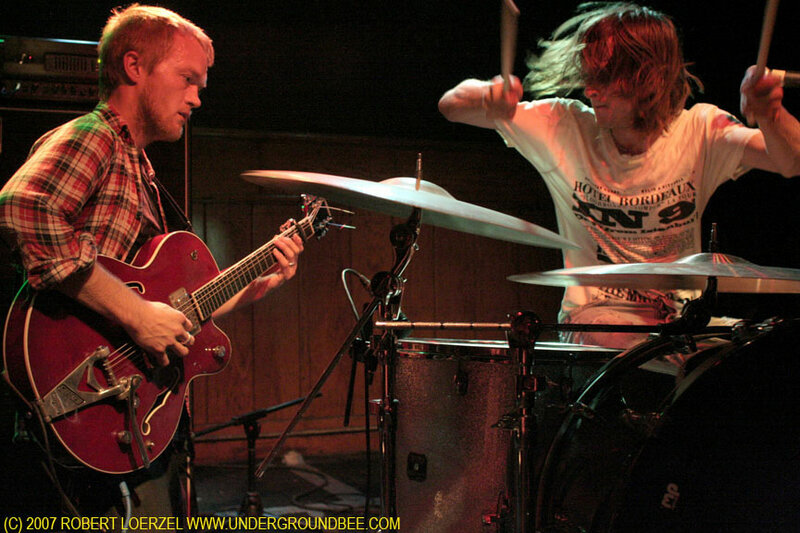 Throughout the album, Two Gallants bring an undisciplined fury fit for a New York City basement sprinkled with the delicate folk touch suited for the hippiest of coffee shops in Portland. They’ve done a masterful job of transitioning into a significantly more aggressive style reminiscent of styles like The Black Keys’ rawness twisted with Bob Dylan’s songwriting and Nirvana’s aggression. Who’d have expected such a style from northern California? Be on the lookout for these guys to be one of the biggest hits of the coming year as they begin touring to support one of the best albums of 2012, The Bloom and the Blight.